The stress of Santa’s sleigh hovering on the horizon may be cutting into your pillow time. But the way to a good night sleep may actually be in your kitchen. According to the Impact Lab, there are 10 foods that specifically help you get a good night sleep. 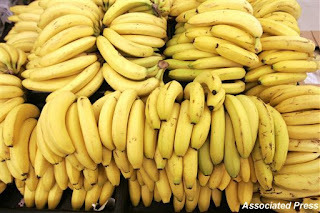 Bananas contain magnesium, which is a muscle relaxant. 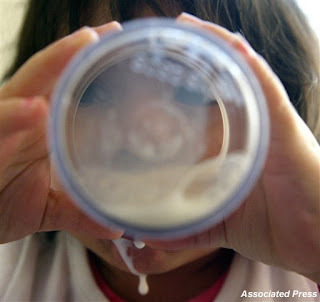 Milk has tryptophan – an amino acid that has a sedative-like effect. 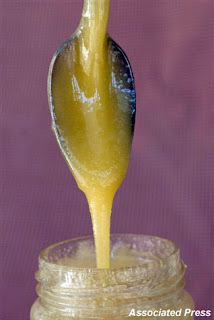 Honey turns off a neurotransmitter linked to alertness. 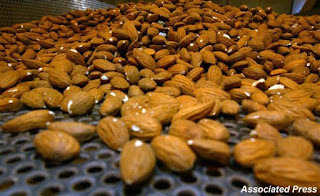 Almonds contain both tryptophan and a nice dose of muscle-relaxing magnesium. Oatmeal is a rich source of sleep-inviting melatonin. So for a good night sleep, have a bowl of oatmeal with almonds, bananas, honey and milk. Sounds like a pretty tasty tranquilizer. Or check out their recipe for Lullaby Muffins, which are chock full of soporific ingredients. As a side note – I’m compiling a Weigh In Gift Guide. Are there any awesome health/fitness gifts on your wish list? This entry was posted by kate, on Monday, December 7, 2009. You can leave your response .